Dr. Wine is a licensed clinical psychologist in the state of Virginia. She specializes in evidence-based treatment for anxiety and mood disorders, trauma-related disorders, self-injury, and personality disorders. Specifically, Dr. Wine has concentrated training in and experience utilizing Cognitive Behavior Therapy (CBT), Cognitive Processing Therapy (CPT), Dialectical Behavioral Therapy (DBT), and Exposure with Response Prevention (ERP). Dr. Wine has been intensively trained in DBT by Behavioral Tech/Linehan Institute and in CPT by the Veterans Affairs Healthcare System. Dr. Wine also has extensive training and experience in providing couple therapy through the use of evidence-based treatments, including Integrative Behavioral Couple Therapy (IBCT). In addition to providing therapy services, Dr. Wine conducts psychological assessment and diagnostic services for emotional and behavioral health concerns. Dr. Wine completed an APA-accredited internship at the VA Pittsburgh Healthcare System, where she specialized in the treatment of anxiety, trauma, and substance use disorders. Dr. Wine received her Psy.D. and M.A. from Regent University and her B.A. in Psychology from Messiah College. Dr Kim's is a Board Certified Psychiatrist. She specializes in anxiety, eating disorders, depression, ADHD, borderline personality disorder, pregnancy and birth experiences including postpartum depression, relationships, family problems and cultural identity issues. Dr. Kim has extensive experience in the area of medication management for individuals engaging in self-injurious and life-threatening behaviors. Dr. Kim graduated from the University of Illinois with her medical degree in psychiatry and completed her Residency at the Naval Medical Center in Portsmouth, Virginia. She is Board Certified in Adult Psychiatry. She is a former Lieutenant Commander in the Medical Corps of the United States Navy, and has extensive experience helping people with problems related to military service. Andrew received his BS / MS in Physician Assistant studies from Daemen College, in Buffalo NY. He has spent the previous 4 years working as an inpatient hospitalist, as well as providing outpatient services in Buffalo. Andrew is board-certified and has experience in the pharmacological approach to mental health. He has special interest in treating eating disorders and anxiety disorders. Andrew works predominately with adolescents and adults. 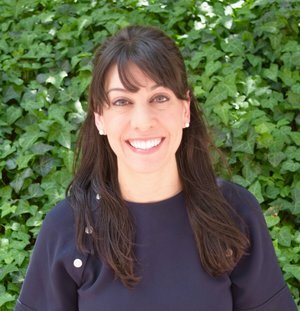 Dr. Fischer completed her PhD in clinical psychology at the University of Kentucky, and her internship and postdoctoral fellowship at the University of Chicago Medical Center with a specialization in the treatment of eating disorders. Dr. Fischer is trained in Cognitive Behavioral Therapy, Dialectical Behavior Therapy, and Maudsley Family Based Treatment of eating disorders in adolescents. Her clinical interest including eating disorders, anxiety, substance abuse and self-injury. Following her postdoctoral fellowship, Dr. Fischer was a faculty member at the University of Georgia, where she directed a Dialectical Behavior Therapy program from adults and adolescents. She is currently a faculty member at George Mason University in the Department of Psychology. Her research focuses primarily on impulsivity and behavior patterns such as binge eating, purging, and alcohol abuse. Dr. Fischer’s work investigates how personality traits and environmental contexts, such as stressors, mood, and learning, interact to influence behaviors such as binge eating. Dr. Marino provides therapeutic services to children, adolescents, adults, couples and families dealing with a range of concerns related to emotional and behavioral health. She specializes in treating Anorexia Nervosa, OCD/Anxiety, Hair-pulling/Skin-picking, self-injury, and chronic suicidality. Dr. Marino is trained in Cognitive Behavioral Therapy (CBT), Maudsley Family-Based Treatment (FBT), Exposure with Response Prevention (ERP), and Dialectical Behavior Therapy (DBT). She also works with "high conflict" couples using Alan Fruzzetti's DBT approach. Dr. Marino is "intensively trained" by Behavioral Tech/Linehan Institute in DBT for adolescents and adults as well as DBT for Children (DBT-C). She has also completed the Behavior Therapy Training Institute (BTTI) certification through the International OCD Foundation and is certified in Maudsley Family Based Treatment for adolescent eating disorders. Joanna has also been intensively trained in Radically-Open DBT for disorder of overcontrol (eating disorders, anxiety, depression, autism). Dr. Marino’s clinical internship at the University of Florida/Shands Hospital included rotations in medical psychology, neuropsychology, and pediatric/child psychology. She received her Ph.D. and M.A. from the University of North Dakota and her B.A. from Susquehanna University. Dr. Marino serves in leadership roles for the Academy for Eating Disorders (AED) and Northern Virginia Clinical Psychologists (NVCP). Dr. Hardin’s clinical work and academic research have focused on Health and Neuropsychology. She specializes in providing evidenced-based treatment of eating disorders, chronic illness, anxiety disorders, trauma, obsessive-compulsive disorders, and trichotillomania and excoriation disorders. Dr. Hardin has worked with adolescents, adults, couples and families in both civilian and military populations. She received her Psy.D. from The American School of Professional Psychology, her M.S. from the University of the Sciences in Philadelphia, and her B.A. from the University of North Carolina at Chapel Hill. Dr. Hardin’s research experience has focused on evaluating the overlapping risk factors and assessment of chronic health conditions, particularly Type 1 diabetes, and co-occurring eating disorders. She also has participated in research evaluating the outcomes of goal-oriented behaviors in traumatic brain injury rehabilitation and recovery. Dr. Hardin’s assessment experience includes evaluating academic, behavioral, intellectual, emotional, personality, and neuropsychological functioning for adolescent, teenager, adult, and older adult populations. She has also conducted assessments in areas of eating disorders, cognitive capacity (intellect, self-care, decision-making), and organ transplant recipient evaluations. Dr. Hardin also has experience in the assessment and evaluation of neuropsychological sequelae due to mild, traumatic, and congenital brain injuries as well as evaluating neuropsychological functioning as related to nutritional deficits. Mary Dolby McDonald is a licensed clinical social worker with 28 years of experience working with adolescents, adults, couples and families. Her areas of expertise include adjustment disorders/life transition issues, addiction recovery, affective disorders, personality disorders and intellectual disabilities. Ms. Dolby McDonald received her master’s degree in social work from Boston University and attended a post graduate program at the Washington School of Psychiatry. She has been intensively trained in Dialectical Behavioral Therapy by Behavioral Tech/Linehan Institute in 2016. Ms. Dolby McDonald is an adjunct faculty member at Catholic University where she teaches and supervises advanced clinical students in their internships. Dr. Krechting is a licensed clinical psychologist in the state of Virginia. Her clinical focus has been on employing evidence-based treatments for anxiety, depression, trauma, eating disorders, attention deficits, and various personality disorders. She has been extensively trained in therapies including, but are not limited to, dialectical behavioral therapy (DBT), cognitive behavioral therapy (CBT), cognitive processing therapy (CPT) and prolonged exposure (PE). Dr. Krechting's clinical experience has availed her the opportunity to work with forensic, military, first responders, and student populations in both inpatient and outpatient settings. Her research background includes exploring the relationship between addiction and trauma, as well as examining the biological and psychosocial stressors impacting the expression of ASPD. Dr. Krechting provides individual and group therapy, in addition to psychological assessment for intellectual, behavioral and emotional functioning. Dr. Krechting has been intensively trained in DBT by the Behavioral Tech/Linehan Institute in November 2016. Dr. Krechting obtained her doctoral degree at the American School of Professional Psychology and her Master's in Forensic Psychology at CUNY John Jay. Dr. White works with adolescents and adults struggling with mood disorders, anxiety disorders, eating disorders, personality disorders, self-injury, and chronic suicidality. She has training in evidence based clinical services including, but not limited to, Cognitive Behavioral Therapy (CBT), Dialectical Behavioral Therapy (DBT), and Enhanced Cognitive-Behavioral Therapy (CBT-E). Additionally, she is trained in Gottman Method Couples Therapy, level 1. She also has training in providing psychological and psychoeducational assessments for individuals experiencing emotional, behavioral, personality, and intellectual concerns. Dr. White completed an APA-accredited internship at Loudoun County Mental Health Substance Abuse and Developmental Services in Virginia, working with a diverse cultural population experiencing relationship issues, trauma, grief and bereavement, mood disorders, anxiety disorders, personality disorders, self-harming and suicidal behaviors, and serious mental illnesses. Dr. White received her Psy.D. and M.A. in Clinical Psychology from The American School of Professional Psychology and her B.S. in Psychology and Sociology from Virginia Polytechnic Institute & State University. Kristen is a Licensed Professional Counselor in the state of Virginia and has experience providing evidence based CBT and DBT approaches to children, adolescents, adults, and families. She received her Bachelor’s degree in Communication from East Carolina University and her Master’s degree in Clinical Mental Health Counseling from Marymount University. Kristen has been involved in bringing education and awareness to the local community about eating disorders in various capacities, most notably previously serving on the board of a non-profit organization dedicated to offering affordable eating disorder treatment for individuals. She has worked in all levels of care for eating disorder treatment from outpatient to inpatient levels of care. Kristen has an interest in treating all eating disorder diagnoses as well as other co-occurring mental health concerns including obsessive compulsive disorder, borderline personality disorder, major depressive disorder, and generalized anxiety disorder. Dr. Soukhanouvong is a postdoctoral fellow who provides individual, couples, family, and group therapy, as well as psychological assessment services across the lifespan. She has training in various evidence-based treatments, specifically in Cognitive Behavior Therapy (CBT) and Dialectical Behavioral Therapy (DBT), from both in outpatient and inpatient settings. Dr. Soukhanouvong’s areas of clinical interest include mood and anxiety disorders, trauma-related disorders, personality disorders, severe mental illness, and dual diagnoses. She is passionate about implementing culturally sensitive treatment to a diverse population. Dr. Soukhanouvong received her Psy.D. and M.A. in clinical psychology from Regent University, and her B.S. in Psychology from the University of North Carolina at Charlotte. She completed her APA-accredited predoctoral internship at Broughton State Hospital, where she received extensive DBT training in an inpatient setting. She firmly believes in meeting her clients where they are and incorporating individual differences in treatment. Dr. Cusumano has extensive experience working with people suffering from eating disorders and is passionate about providing treatment for anorexia nervosa, bulimia nervosa, binge eating disorder, and avoidant/restrictive food intake disorder (ARFID). She also specializes in treating disorders of overcontrol, including anxiety and depression, and has a strong interest in treating trauma and obsessive-compulsive disorder. Dr. Cusumano works with adolescents and adults. She provides therapy for individuals, couples, families, and groups. She also conducts assessments of intellectual and personality functioning. In her therapeutic work, Dr. Cusumano draws upon evidence-based treatment as well as attachment theory to provide effective and competent care. She believes that the therapeutic relationship is a powerful healing tool. Dr. Cusumano utilizes an array of evidence-based treatments in her work. She completed intensive training in Radically Open Dialectical Behavior Therapy (RO DBT) with Dr. Thomas Lynch, the developer of RO DBT. She also completed an externship and Core Skills training in Emotionally Focused Therapy (EFT) for couples. Additionally, she has training in cognitive behavior therapy (CBT), enhanced cognitive behavior therapy (CBT-E) for eating disorders, and exposure and response prevention (ERP). Dr. Cusumano also has extensive training and experience integrating faith-based interventions into therapy. Dr. Cusumano earned her doctorate and her master's degree in clinical psychology from the Institute for the Psychological Sciences at Divine Mercy University and her bachelor's degree in psychology and theatre from the College of William and Mary. She completed her predoctoral internship at The Emily Program in St. Paul, Minnesota. During her internship training, she provided individual and group therapy at the outpatient, intensive outpatient, and partial hospitalization levels of care for patients with eating disorders and associated disorders. Verity received her MSW from Catholic University in 2016 and is now obtaining her clinical license in social work. During her time at Catholic University, Verity interned with The Wendt Center for Loss and Healing, providing evidence-based treatment, such as Cognitive-Behavioral Therapy (CBT), to traumatized children and adults in Southeast DC. Additionally, she provided crisis counseling to families at the DC Office of the Chief Medical Examiner. More recently, she has spent two years supporting a diverse population of children and adults in Arlington Public Schools through individual counseling and assistance accessing community resources. She has also worked with juvenile offenders and at-risk teenagers in rural Ohio. Verity’s areas of interest include trauma, anxiety, depression, personality disorders, and neurobiology. Verity is inspired by the courage and resilience of her clients. She is committed to creating safe, supportive, and collaborative relationships within the counseling setting. Alyson Nuno is a Master’s level clinician specializing in the treatment of mood disorders, anxiety disorders, personality disorders, self-injury, and chronic suicidality. She has provided treatment to adolescents and adults in both individual and group settings. Alyson has specific training and experience utilizing evidence-based therapeutic strategies such as Cognitive Behavioral Therapy (CBT) and Dialectical Behavior Therapy (DBT). She has received additional training on the instruction of DBT Skills through participation in Level Two training offered by Behavioral Tech/Linehan Institute and will complete intensive training in 2018. Alyson is working to complete her Master’s degree in School and Mental Health Counseling at the University of Pennsylvania in Philadelphia, Pennsylvania and is a candidate for licensure in the Commonwealth of Virginia. Alyson completed her practicum hours at Catholic Charities of Hampton Roads, providing evidence-based treatment to adolescents and adults. She has also gained valuable internship experience working as a skills class leader in the Potomac Behavioral Solutions Day Program and the Comprehensive DBT Program. She believes helping clients to find a balance of acceptance and change in order to create a life worth living. Erin Abbott is a licensed clinical social worker in DC and Virginia. She completed her MSW at Catholic University and has since spent the last 4 years working with children, adolescents, and families in child welfare and school settings. Her area of expertise include depression, anxiety, self-injurious behaviors and other mood disorders. While Erin utilizes evidence-based treatments such as Cognitive Behavioral Therapy, she finds the most important part of therapy is the therapeutic relationship. She values genuineness, warmth, and empathy above all else in her practice. She has recently completed DBT skills training by Behavioral Tech/Linehan Institute and will be attending the Dialectical Behavioral Therapy intensive training by Behavioral Tech/Linehan Institute in the spring of 2018. 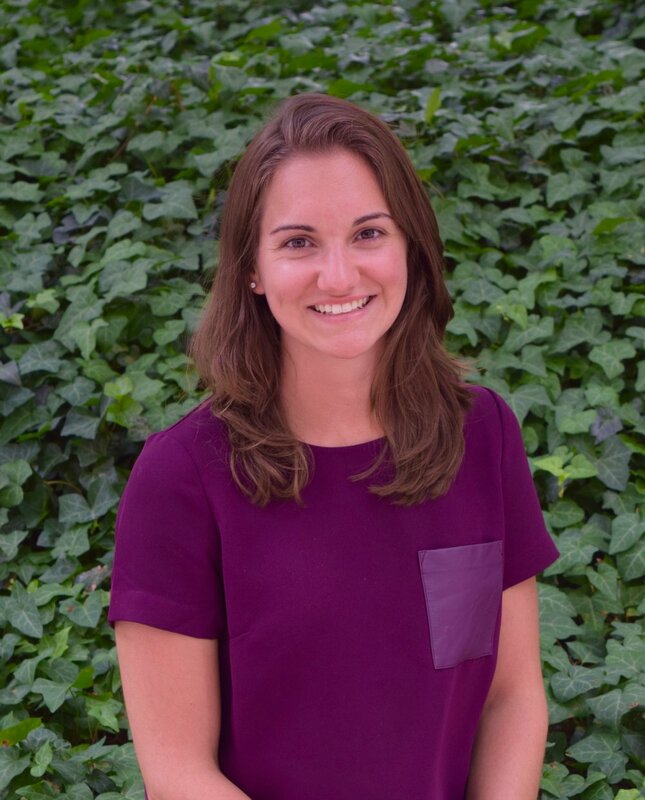 Julia is a Registered Dietitian who completed her Bachelor’s degree in dietetics from James Madison University, and further went on to earn a Master’s degree in Nutrition from Virginia Polytechnic Institute and State University. She entered the field of dietetics due to a personal interest in how food choices affect the body and mind, and vice-versa, which led to her passion for working in the area of eating disorders. While working for a non-profit organization that supported individuals living with mental health issues and intellectual/developmental disabilities, Julia realized the importance of increasing client awareness about the mind-body connection, body acceptance, and the idea that all foods can fit in one’s eating patterns. Since then, Julia has worked and volunteered at various eating disorder organizations to help individuals learn how to eat more mindfully and intuitively, make food choices that are both physically and psychologically satisfying, improve their relationships with food and body image, and find renewed joy and freedom in eating - and in turn, live more peaceful lives that align with their values. As someone who understands the sensitive, complex, and at times emotional relationship between food, eating and mental health, it is Julia’s goal to provide nutrition counseling and education in a compassionate manner, as well as to assist and empower individuals to be able to walk the path towards healing and recovery. Catherine Byrne is a 4th year clinical psychology doctoral candidate at George Mason University. She earned her Bachelor of Arts degree in psychology from Marquette University, where her interest in evidence-based treatment began. 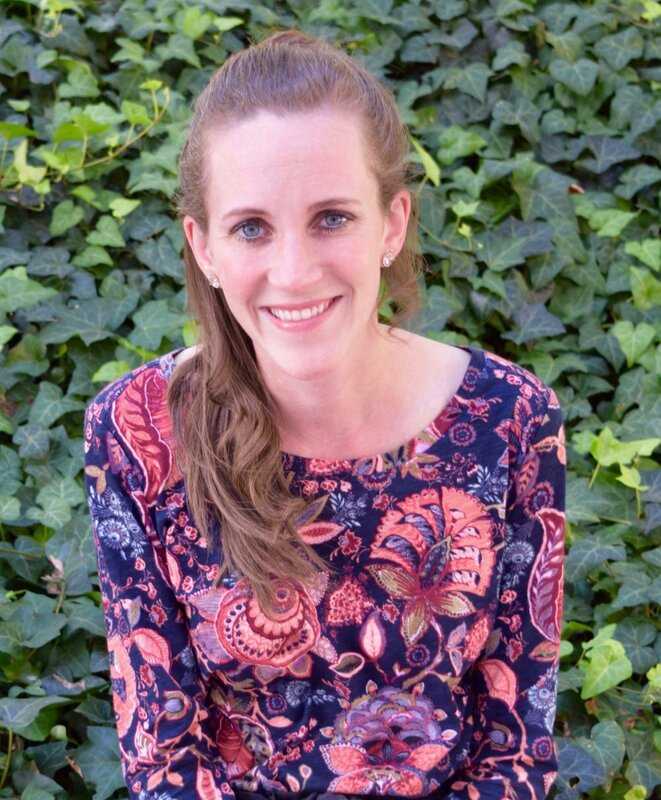 Prior to the start of graduate school, Catherine worked as a clinical and research coordinator at the University of Chicago Eating Disorders Program, where she gained extensive knowledge of the use of Family-Based Treatment (the Maudsley Method) for anorexia nervosa. Throughout Catherine’s graduate training program, she has gained experience utilizing Cognitive Behavior Therapy (CBT), Cognitive Processing Therapy (CPT), Dialectical Behavioral Therapy (DBT), and Exposure with Response Prevention (ERP). 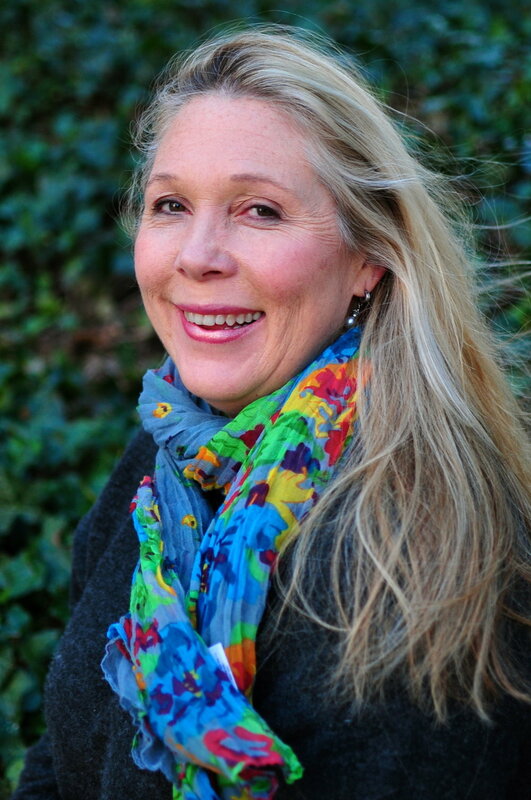 Catherine has worked with children, adolescents, and adults in both individual and group settings. She is actively involved in research and has published articles related to increasing the efficacy of treatment for eating disorders. Catherine will receive her Ph.D. in clinical psychology from George Mason University in 2020. Catherine is supervised by Elizabeth Wine, PsyD and Sarah Fischer, PhD. Kris Gebhard (pronouns: they/them) is a 5th year clinical psychology doctoral candidate at George Mason University. Kris came to graduate school after several years of organic farming and LGBTQ+ community organizing in Minnesota. Kris has experience working with Cognitive Behavior Therapy (CBT), Cognitive Processing Therapy (CPT), Dialectical Behavioral Therapy (DBT), and Interpersonal Psychotherapy (IPT). Kris has worked with children, adolescents, and adults in both individual and group settings. Last year, Kris worked as a Behavioral Health extern therapist at Whitman-Walker Health in Washington, DC. Kris is clinically passionate about treatment for trauma, and thus also passionate about researching to understand traumatic experiences and how best to support survivors. Kris is especially engaged in investigating masculinities and causes of male aggression, seeking to understand how to better prevent violence. As part of this work, Kris designed a measure of men's shame-related responses to threatened masculinity, the Masculinity and Shame Questionnaire (MASQ). Kris is also interested in other research that will benefit the LGB, queer, and trans communities, especially work on resiliency, community resiliency, and empowerment. Kris will receive their PhD in Clinical Psychology from George Mason University in 2020. Alongside therapy and research, Kris enjoys playing percussion, writing music with their band, performing poetry, and gardening. Joe Wonderlich is a 5th year doctoral student in clinical psychology at George Mason University, working with Dr. Sarah Fischer. Throughout Joe’s graduate training, he has been trained in a variety of evidence-based treatments such as Dialectical Behavior Therapy, Cognitive Behavioral Therapy, Prolonged Exposure, and Exposure with Response Prevention. Using these therapeutic approaches, Joe works with both adolescents and adults in individual and group settings to help treat a broad array of psychopathology, including: eating and feeding disorders, OCD-related disorders, personality disorders, anxiety disorders, and depressive disorders. Joe will receive his Ph.D. in clinical psychology from George Mason University in 2020. Joe is supervised by Elizabeth Wine, PsyD and Sarah Fischer, PhD. Ben coordinates scheduling and billing at our office. He is one of the friendly voices you'll hear when you reach the front desk. He works Monday-Friday 9-5pm. Allie is the Clinical Coordinator at Potomac Behavioral Solutions. She recently received her MA in clinical psychology with a concentration in child and adolescent psychology from Montclair State University in New Jersey. During graduate school, Allie was a research assistant in a child anxiety lab and an intern therapist for children and adolescents at Jersey City Medical Center. Allie received her BA in psychology from the University of Delaware. She has a special interest in anxiety disorders and in working with children and their families. Marwa organizes and oversees all operations at our practice. Any "growing pains" or praises should be directed to Marwa. Anissa coordinates scheduling and billing at our office. She is one of the friendly voices you'll hear when you reach the front desk. She works Monday-Friday 12-8pm.